IT’S true. More people want to watch the zany driving antics of three daft middle-aged British men than almost anything else on TV. What makes Top Gear so universally appealing is up for debate, but the record breaking BBC franchise sure knows how to put viewers on the edge of their seats. From death-defying crashes to stomach-churning challenges, Top Gear hosts have destroyed 166 cars at a cost of almost $2 million and have been knocked out, slashed by flying shards of glass and nursed several broken bones in the process. Watching their stunts from the comfort of an armchair has become a passion for millions of hooked viewers around the world who wouldn’t dare swap places with the intrepid trio. In keeping with Top Gear tradition, the team at Are You Selling has found five terrifying Australian road trips that would leave the average driver shaking with fear. Read on if you fancy a glimpse of our nation’s most spectacular and treacherous journeys on four wheels. No Sunday drivers: Only experienced applicants please! Notorious for sudden washouts, bone-jarring corrugations, giant potholes and sinking sandy sections, the track follows an ancient trail used by Aboriginal tribesmen from Maree to Marla in outback South Australia. Be sure to stock up on supplies of water, food, spare tyres and gear like ropes, shovels and jacks that will help you avoid a variety of scrapes with death. 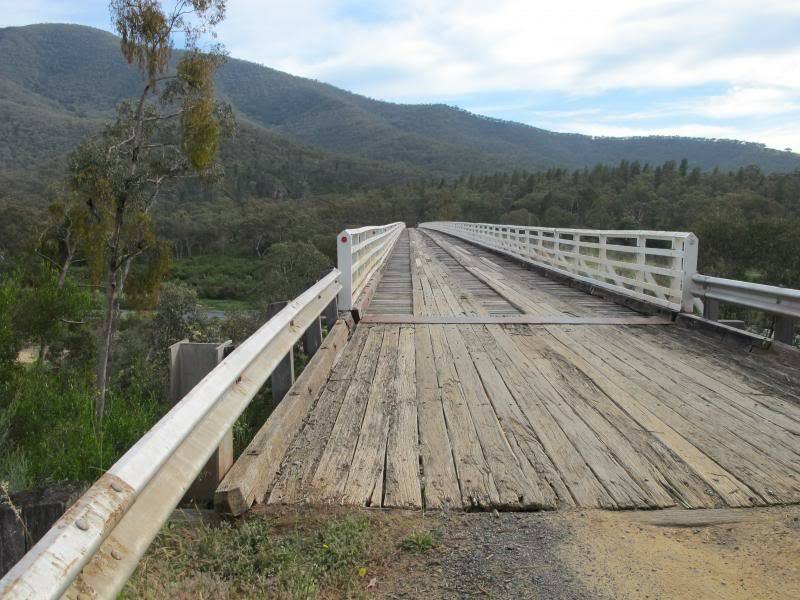 Cross me if you dare: The “new” bridge on Victoria’s famous McKillops Road trip. In the heart of Snowy River National Park, McKillops Road is famous for spectacular scenery, precarious sheer drops and slippery dirt roads. The first bridge was all but washed away by floods in 1934, replaced by the one pictured in 1936. Cross that if you dare! Trekkers are advised to carry a chainsaw and recovery gear including a winch, tree protector and shovel – and warned not to attempt the journey without informing someone before you leave. Not for the faint-hearted: Ruts on Anne Beadell Highway. 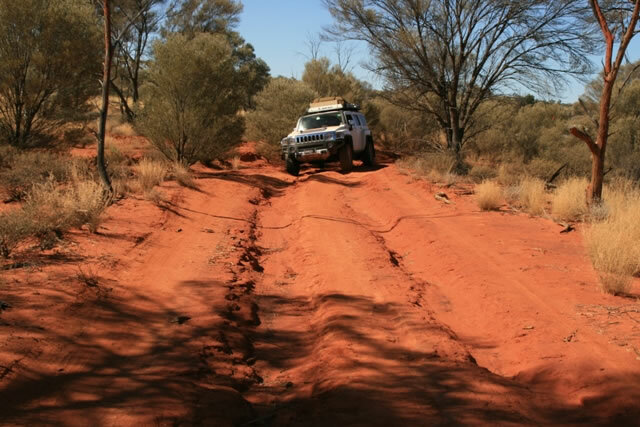 Built by Len Beadell over nine years from 1953 and named after his wife, this is one of Australia’s most challenging dirt tracks and is deemed suitable only for skilled and well equipped 4WD enthuisasts. 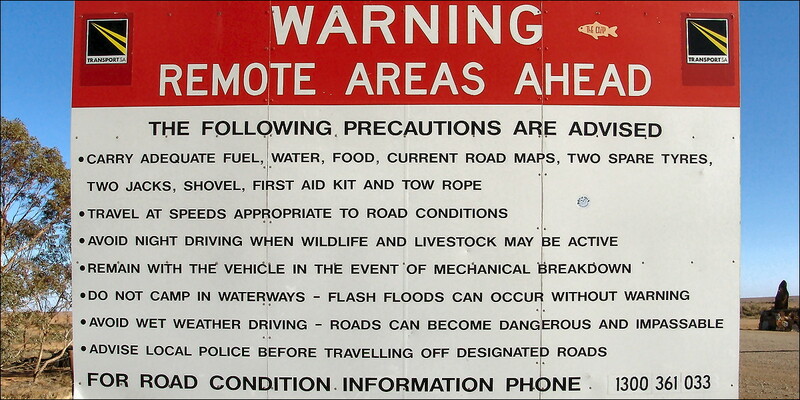 Dangers include wild camels, deep road ruts and low flying light planes. Yikes: Pray a car doesn’t come in the other direction on this track. Closed by a major landslip in 2010, scary is one word to describe the perils of this road. Try steep edges with no guard rails, falling rocks, flash flooding, narrow, winding and slippery roads. And throw in the odd creek crossing to get your blood flowing. Needless to say, only attempt this one if you have nerves of steel and a sturdy 4WD. Be prepared to confront reversing for several kilometres around blind corners with 300-metre drops if someone comes in the opposite direction. 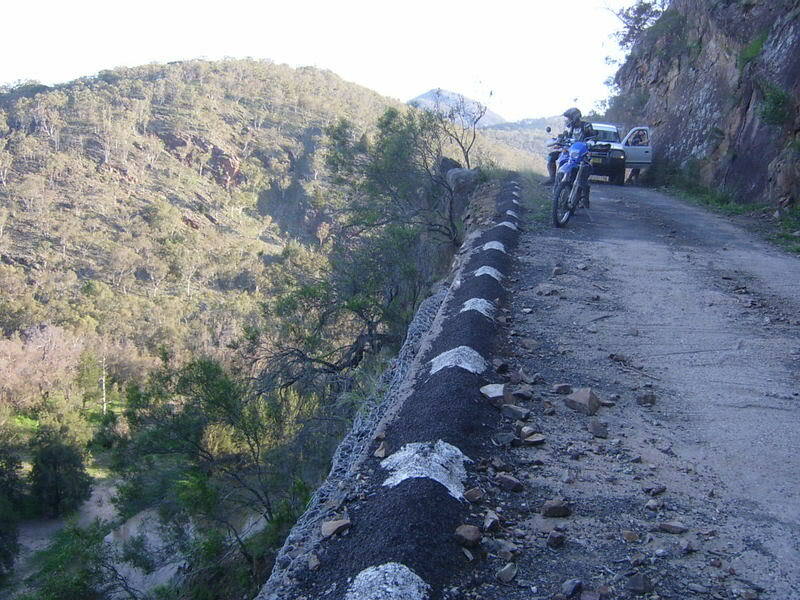 Undefined track: The Canning Stock Route ranks as one of the world’s most remote and treacherous roads. Described by one website as one of the toughest and most remote tracks in the world, traversing the route is challenging even with the assistance of a GPS system. 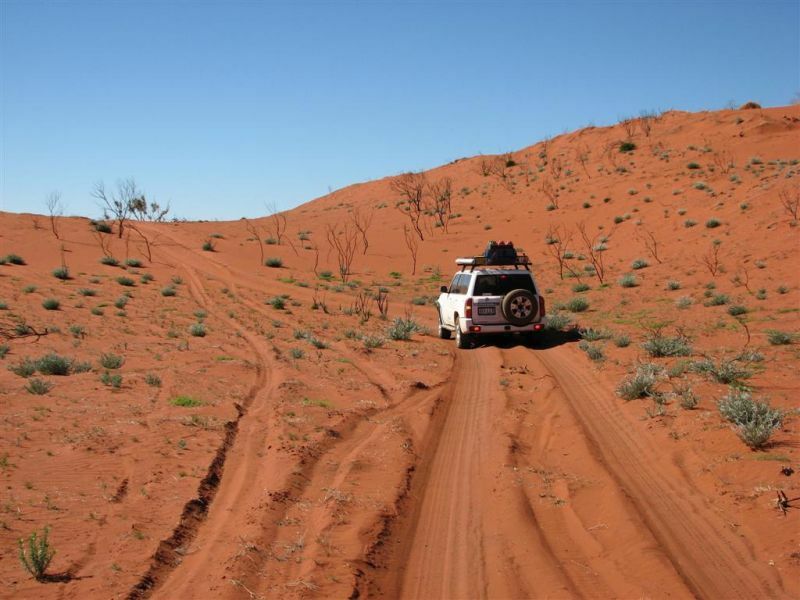 Taking in the Gibson, Little Sandy and Great Sandy deserts, drivers are warned against travelling alone and without being extremely well organised. There’s nowhere enroute to fuel up, no towns, little in the way of water and it is too hot to attempt in all but the coolest months of the year.